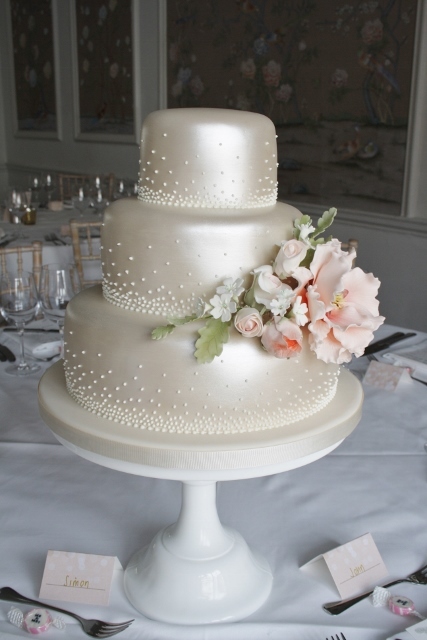 Three tier wedding cake at The George in Rye, Sussex. 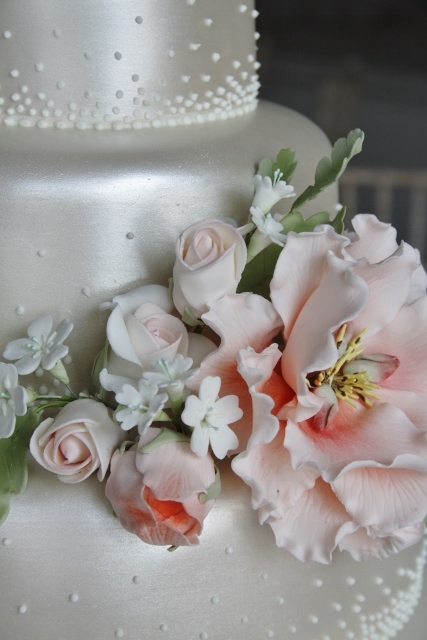 Finished with champagne lustering, piped graduated microdots and sugar flowers including full bloom peony, roses, buds, foliage and blossoms. All three tiers of moist caramel sponge with whipped salted caramel buttercream. Cake serves 100 finger portions.